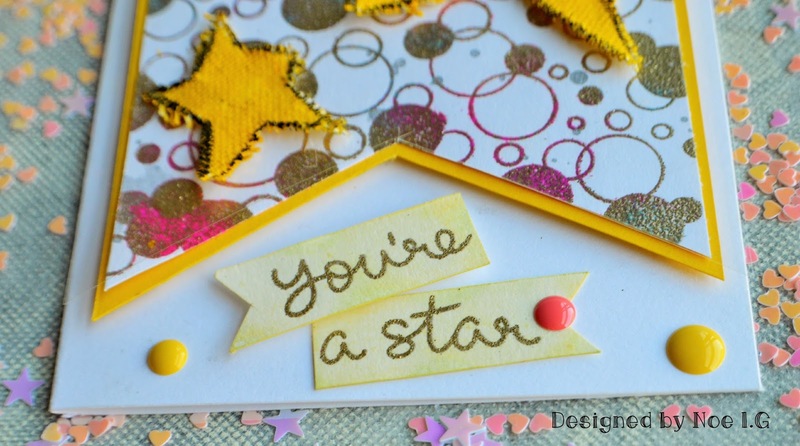 Linnie Blooms Design Team Blog: You´re a Star! 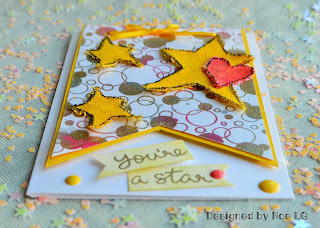 Noe here to show you my newest project using Linnie Blooms products!! 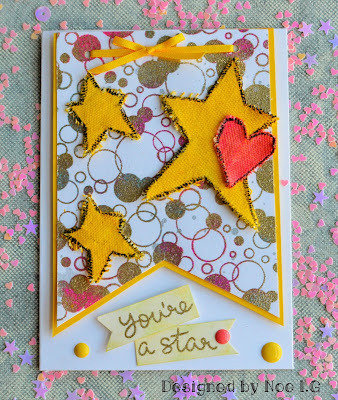 I´ll tell you a secret: I love to add canvas dies in my cards, makes them more original and gives them texture! 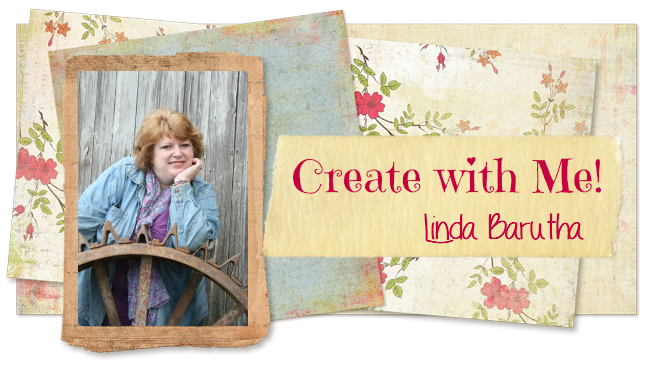 In Linnie Blooms Store you can find your favorite ways !! Don´t miss Christmas releases, cooming soon! Do you like it? It´s soo easy to make!! 1.- To start stamp your favorite background stamp on a piece of white cardstock and emboss it in different colors. Give this piece of cardstock and cut it in a pennant shaped. Paste it on a pennant cardboard slightly larger. Finally add a pennant acetate. To attach all these pieces make two holes at the top and go through a piece of ribbon. 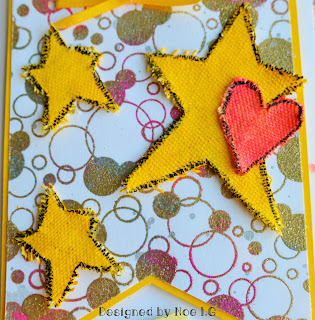 2.- Take several Canvas Stars in different sizes and one Canvas Heart and paint them with a gelatos, outlines its outline with a black marker and place them on your card. 3.- Finally, stamp and emboss your sentiment. You got it... Card ready to give a someone special!! 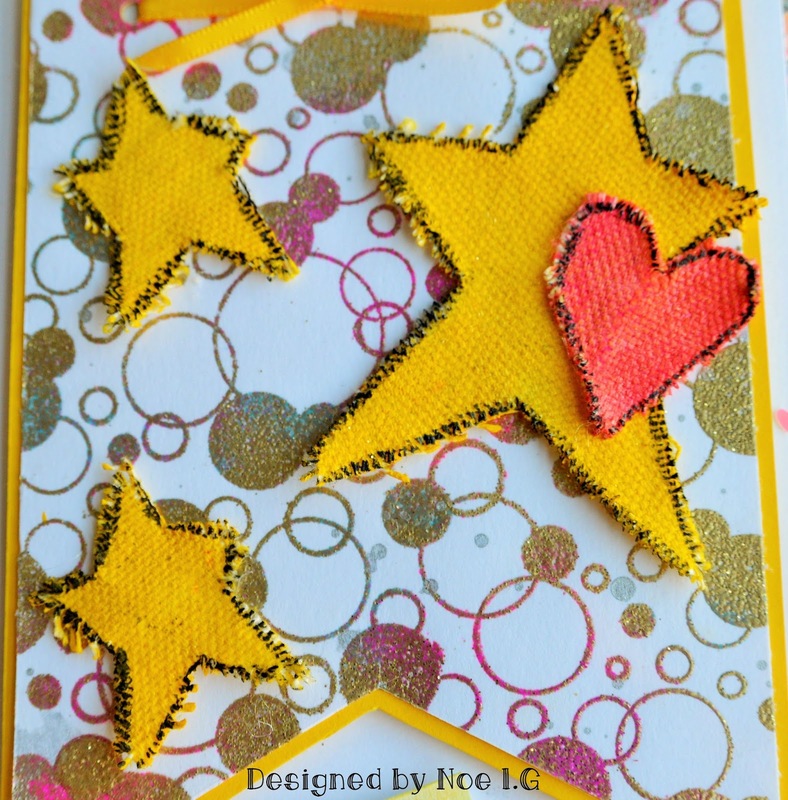 Great idea to use canvas stars!